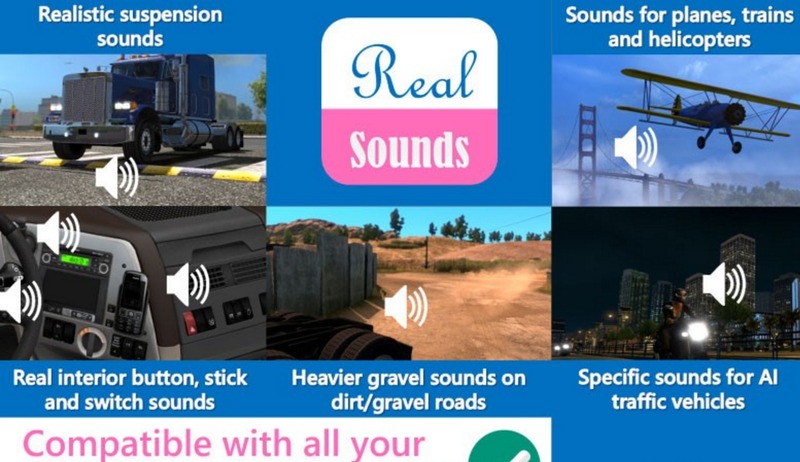 Made American Truck Simulator prefab soundscape more audible and expanded some of its sound trigger ranges. 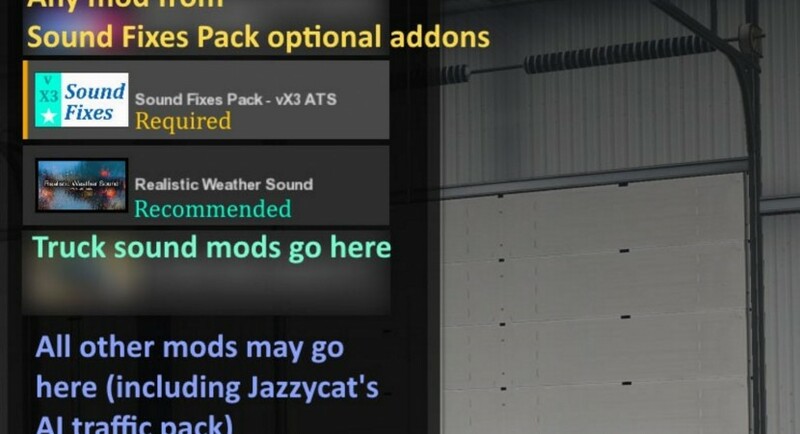 Thus company/delivery points in the game will not sound abandoned (e.g. you can hear the sound of workers hammering at construction sites). Prefab (e.g. 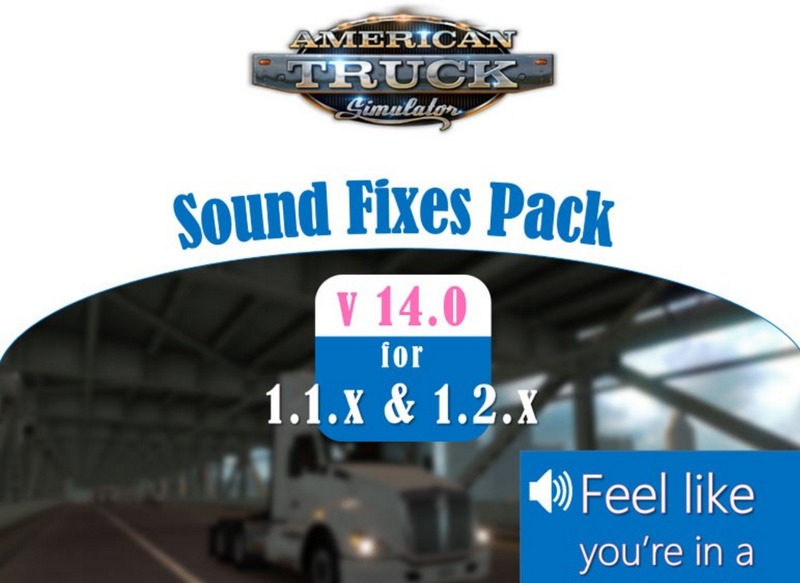 company and delivery points) soundscape in American Truck Simulator enhanced. 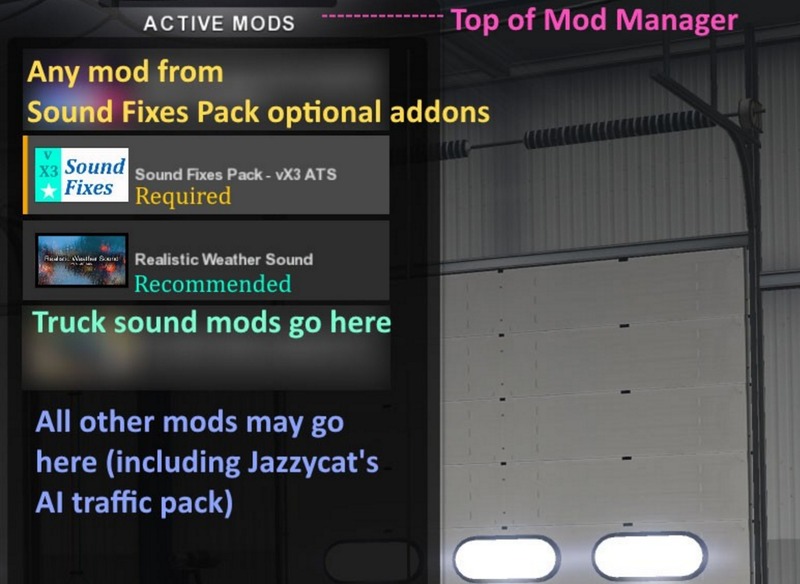 In most cases, mod requires highest priority in Mod Manager, above map mods, environmental mods and traffic mods. Otherwise correct operation of pack not guaranteed.